"Teeth and Blood" probably won't be giving you any nightmares, but for some, it may offer a vital new perspective. 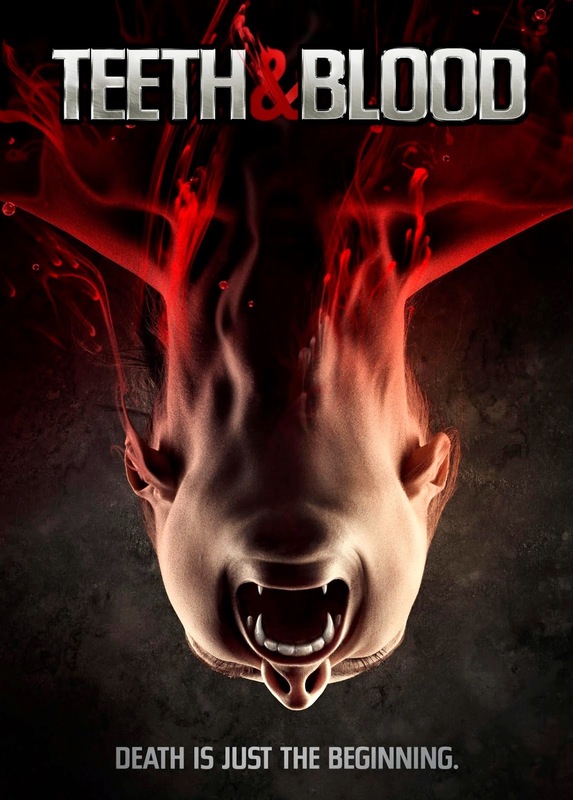 Teeth and Blood is about two detectives, Colfax (played by Michelle Van Der Water) and Hung (played by Sean Hutchinson), who enter a world of vampires when they go undercover on a case in which the leading actress was mysteriously murdered on the set of a film shoot. In the process of finding out who / what killed her, the detectives learn that there are a lot of strange things happening on and around the set. Unfocused, un-scary, AND unfunny, as it seems to try occasionally, Teeth and Blood lives down to its genre of being a serious horror film. The screenplay quality is slipshod at best, with very poorly directed performances. One can tell this is a low budget film. There wasn't much of a plot, and when a film doesn't have much of a plot, the characters need to work much harder, and be engaging or the whole thing quickly becomes humdrum. And, that, it did. You can tell the cast was acting, if was if they were in a play instead of a movie, and the acting chemistry between Colfax and Hung seemed strained. In addition, each actor's character seemed vaguely written with no real thought on who they really are. The budget restriction on this film impacted the message trying to be sent, ie. the visual cues typically used in a horror film to heighten suspense for the audience and keep them guessing filled with terror. The comically "frightening" special effects for the vampires are mediocre. And the bad news for the countless millions who are waiting to see this film, DON'T DO IT! Save yourselves. This movie has proven the theory that certain movies can temporarily lower ones IQ. I give it NO star, and recommend Snoop Dogg's 2001 film 'Bones'. That's if you absolutely have to see a bad vampire film. At least 'Bones' is a little frightening.